Children's Rights: Alienation is a verifiable Psychiatric condition - The new Diagnostic and Statistical Manual (DSM 5) helps our children! Alienation is a verifiable Psychiatric condition - The new Diagnostic and Statistical Manual (DSM 5) helps our children! This beautiful animation above was created especially for Bubbles of Love Day on behalf of Kids Aiding the PAAO (KAPAAO). Thank you to the very talented Bronwyn Coveney, from the United kingdom for volunteering her time and talent on behalf of children around the world. Bronwyn is the original visual creator of the PAAO and KAPAAO's, mascot Panda Abuzz. Dr. Bill Bernet, lead a group of interested professionals in encouraging the DSM 5 editing group to include Parental Alienation Disorder. The new DSM % was published on May 18, 2013 and is the reference book for psychiatrists, psychologists and other mental health providers Here is Dr. Bernet's unedited analysis of the result. Finally, DSM-5 was published today. The DSM-5 Task Force told us 2 or 3 years ago that they did not want parental alienation to be a separate diagnosis in DSM-5, but they thought that parental alienation could be considered an example of other diagnoses that are in DSM-5. The actual words "parental alienation" are not in DSM-5, but there are several diagnoses that can be used in these cases. I would say the "spirit" of parental alienation is in DSM-5, even if the words are not. Parent-child relational problem now has a discussion in DSM-5, not just a label. The discussion explains that cognitive problems in parent-child relational problem "may include negative attributions of the other's intentions, hostility toward or scapegoating of the other, and unwarranted feelings of estrangement." That is a pretty good description of a child's view of the alienated parent, although it is an unfortunate use of the word "estrangement." Child psychological abuse is a new diagnosis in DSM-5. It is defined as "nonaccidental verbal or symbolic acts by a child's parent or caregiver that result, or have reasonable potential to result, in significant psychological harm to the child." In many instances, the behavior of the alienating parent constitutes child psychological abuse. Child affected by parental relationship distress is another new diagnosis in DSM-5. It should be used "when the focus of clinical attention if the negative effects of parental relationship discord (e.g., high levels of conflict, distress, or disparagement) on a child in the family, including effects on the child's mental or other physical disorders." That is also a good description of how parental alienation comes about. Factitious disorder imposed on another is the DSM-5 terminology for factitious disorder by proxy or Munchausen disorder by proxy. Its definition is "falsification of physical or psychological signs or symptoms, or induction of injury or disease, in another, associated with identified deception." In some cases, that would describe the behavior of the alienating parent. Delusional symptoms in partner of individual with delusional disorder is the DSM-5 terminology for shared psychotic disorder or folie a deux. The definition is: "In the context of a relationship, the delusional material from the dominant partner provides content for delusional belief by the individual who may not otherwise entirely meet criteria for delusional disorder." In discussing this topic, I would say that the concept of parental alienation is clearly in DSM-5, although the actual words are not. This is a great improvement over DSM-IV-TR, especially with the addition of the new diagnoses, child psychological abuse and child affected by parental relationship distress. Dr. Bernet is currently working with PAAO to present a webinar on this subject in the next 2 - 3 weeks. We will notify you of the details shortly. The next mental health manual to be revised is the International Statistical Classification of Diseases and Related Health Problems or the IDC-11. 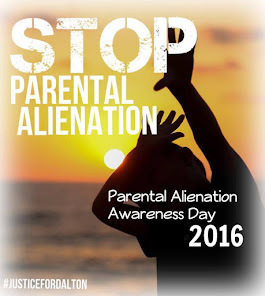 Watch for ways to have your say about Parental Alienation in time for inclusion there as well. Dr. Bernet's Webinar for 2013. What's in the DSM 5 to help alienated children? Dr. Bernet will be our introductory webinar guest for this years series of webinars. Dr. Bernet is the lead psychiatrist of the Parental Alienation Study Group ,PASG, the group who was influential in having PA behaviours considered and eventually placed into the DSM 5. Registration will ensure you are given the internet access details for the webinar. There is a $10 registration fee which can be paid online as well. To the extent that sole custody given to one parent after divorce increases the possibility of PA on a child, many of our readers have expressed support for equal shared parenting assumptions. We felt this was a story of interest to many of you. Germany has passed legislation that will grant previously locked out parents the right to joint custody in circumstances where the parents remain unmarried. For those of you who understand German, the news-broadcast can be veiwed here. In North America, a new organization has been formed to advocate for Equal Shared Parenting. LEADING WOMEN 4 SHARED PARENTING (Canada) can be found by clicking here. The International Access and Visitation Centers conference was held in Toronto last month. PAAO was there and spoke to most of the 200 or so practitioners. Of course all were familiar with alienation and it's results. Everyone was not only gratified to see PAAO at the event, they all also acknowledged that PA is either a form of Domestic violence or on the continuum of Domestic Violence behaviours. The sale of books and other materials covered the costs of the event for PAAO.
" There never was a time when a major social problem was solved by beating a child. And there never will be such a time… For centuries adults have injured children and have lied about it, and other adults have heard those lies and then merely turned away." In 2000 I met what I truly believed to be my soul mate. A woman from the Philippines, a devote Christian, with a firm belief in family values. She was my ideal. Although there is so much to tell I will keep it brief and to the main points. In 2002 we married there, in Davao City. After several visits and getting to know each other well. In 2004 she came to this country, we settled in to our new home there was love and laughter cuddles and conversation, and in 2005 we had a son John Michael, he was my greatest wish come true, and the biggest thrill in my life, I could not envisage a single day without him, and every day I could not wait to get home to be with him. From the first month we started sending money to the Philippines to support her family and invest in a future for ourselves, (A Palm Tree Plantation) this was the agreed deal that we will eventually go back there as a family to live. And that is a very good future for us. But all this went sour not long after she gained her UK citizenship, in 2009, she became demanding, threatening and even aggressive, and by using our son to manipulate me into sending increasing amounts of money to the Philippines, the arguments escalated to a point where I could no longer cope with the distress, it effected my job my life and my purpose. In 2008 she took a bank loan for £7,500, which made our own finances suffer, this went to the Philippines, (she says for our future). In February of 2011 she left the marital home and moved in with a black guy. Since then I have not seen my son due to her false allegations of unreasonable behaviour. I have recently gone through a PSYCHOLOGICAL THERAPY COURSE FOR MENTAL CRUELTY. I no longer see my son, and this hurts too much every day is the same I wake up crying I go to sleep crying. I know she never intended to stay married. Now all I do is grieve. I am 56 years old now. And although when we first met my age did not matter. But now she refers to me as THE GULLIBLE OLD GIT. The real purpose of this is for her to keep my investment in the land in the Philippines. And of course the benefit of her family. And by using false allegations of domestic violence. The main victim in all of this is a young boy who has been separated from his father, and all for the sake of a visa, and financial gain. I have been victimised by this woman and the courts, since February of 2011. I have suffered imprisonment for my emails begging her to tell the truth, but she will not speak up, for fear of reprisals by the court system. How many more years must I wait for a remedy? How many petitions must I continue to sign? 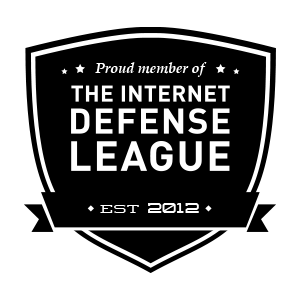 How many more internet sites must I join to make my voice heard? How many letters must I write to my MP? How many voices does it take for the British Government to take up this cause? The courts took her words (on paper) as gospel, they erred on the side of caution, imposed a non-molestation order , and refused to accept my argument about fake marriage and my protests at her lies, and non-evidenced allegations. Fraud is a crime……………. Marriage is not an immigration deal………………A child should never be used as a weapon.